Allie Casazza with her four children. She said throwing out the kids toys saved her life. Allie Casazza was drowning. In toys. She describes a scene familiar to many moms. 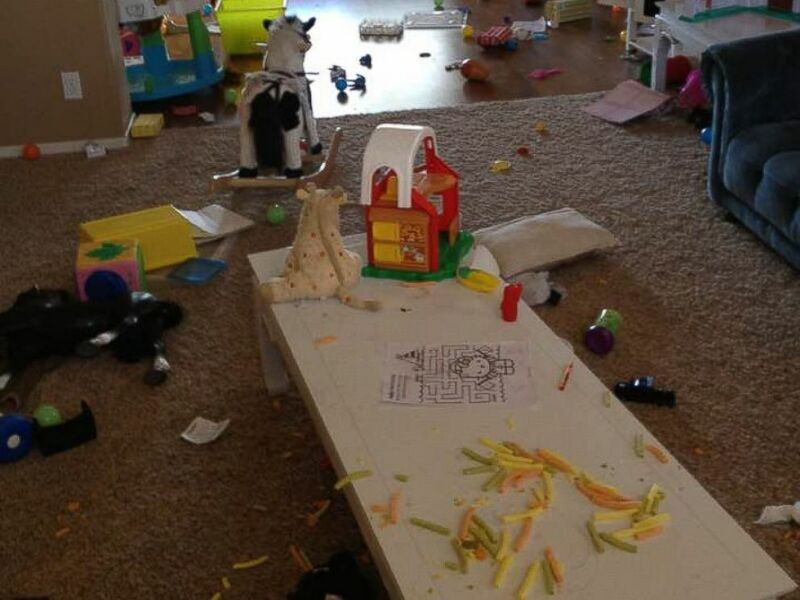 “I’d send the kids into the playroom and they’d dump out a few things. They’d be back moments later, saying they were bored and asking for snacks," she said. Trying to keep herself sane, she would clean up the toys and the room several times a day, just to have it destroyed again. Every day she would wait for nap time and bedtime. 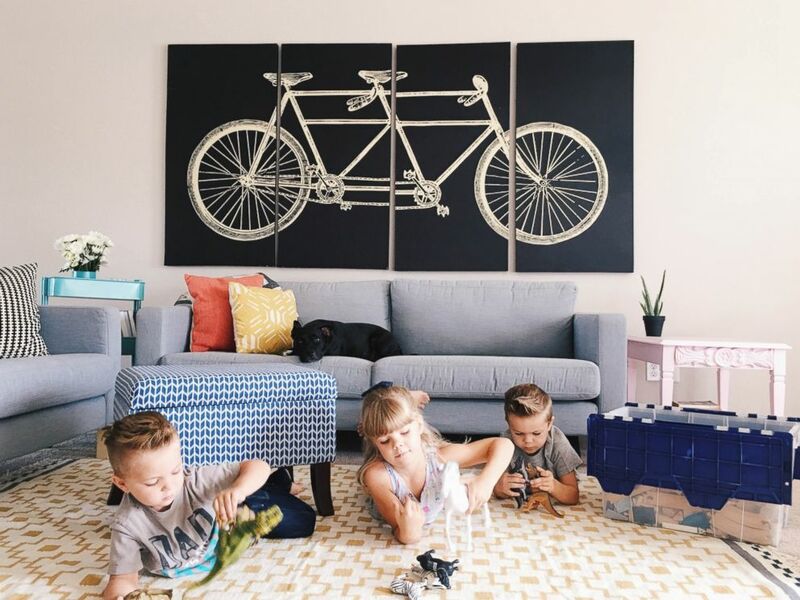 The playroom in Allie Casazza's home the day she finally decided to get rid of all her toys. One day, Casazza had enough. She gave nearly every toy in the house away. Not as a punishment, she said, but for the good of the family. That one action "saved my motherhood, my marriage," she said. Her struggle is common. It turns out that an excess of stuff can have a negative effect on moms. A 2012 study from UCLA’s Center on the Everyday Lives of Family found managing the volume of possessions “was such a crushing problem in many homes that it actually elevated levels of stress hormones for mothers." Casazza waited for the temper-tantrums from the kids. Instead, they were excited she had cleaned out the room. And literally overnight, she said, things in her home changed. “I had been so resentful of my husband, telling him, ‘you have no idea what I go through all day,’ but after the toys were gone I immediately felt lighter. I had so much less stress," she said. And the whining about being bored? No more. Noelle Swift, a mom from Wood-Ridge, New Jersey, told ABC News the decision to limit her 28-month-old’s toys was made before he was born. He has plenty of books, but his toys can very easily fit on two shelves. As a result, Swift said, he can play with one toy for hours on end. And since everything has a very clear place, he also puts his toys away. “I want him to value the toys he has,” she said. Beth Becher is a mom and the owner of B Organized, a professional organization service. She said her clients’ lives are “forever changed” when they finally get rid of the clutter. A major theme among moms having trouble clearing the toys is guilt, she said. “It’s always, ‘but my mother-in-law gave my son that for his first birthday,’ even if it’s broken,” she said. Her mantra is: “If you don’t need it, use it or love it, get rid of it." Her daughter has very few toys, and she sets limits with family when it comes to gift giving. Some clients, she said, can’t go into a store with their kids because they will inevitably leave with a new toy. She also said finding a place you can feel good about donating to is the first step to alleviating some of the guilt of letting go. Fast forward four happy years later, and all of the toys that Allie Casazza's kids have can fit into this one bin. Casazza’s toy toss led to a greater household-wide purge and the family decided to downsize. Without all the things that were weighing them down, Casazza said, she was able to start her own business. The Purposeful Housewife is dedicated to living minimally. She even decided to homeschool her kids. It’s a far cry from the mom who counted the moments until nap time. Today she loves being a mom. “It’s such a short season when your kids are young. Now I can enjoy it," she remarked.